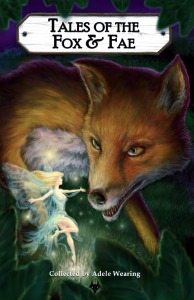 The Bushy Tales take a theme and explore it from every genre and every interpretation across a collection of stories from new and well known authors. There is humour, horror and everything in between in these pages. The Nun & Dragon is a local like no other – share in the wild and wonderful tellings of a gifted panoply of authors, tales replete with wonder, a liberal coating of mysticism, the odd splash of darkness and a sprinkling of grim humour. 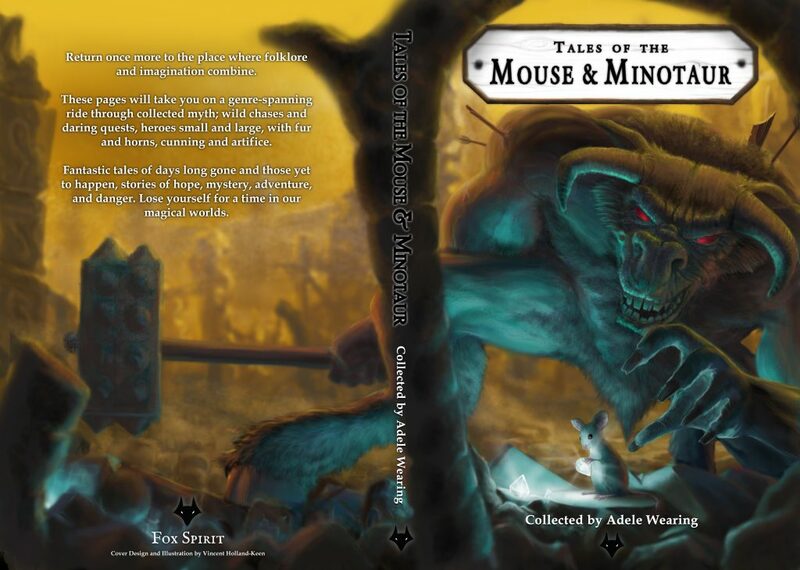 Tales of the Mouse and Minotaur explores the adventure of mice (and rats) and twists on greek mythology. It also sees the return of Gilrain. The tavern door opened, letting in some of the damp, moist air from outside. A few leaves, abandoned on the floor by previous travellers, skipped gleefully in the updraught, dancing joyfully around the feet of the newcomers. Both were soaked; the rain had started some time three days ago and apart from a brief respite where the sky gods had simply been distracted for a moment, hadn’t let up. One of the inn’s new patrons was tall and rangy; broad shouldered and narrow-hipped in the way so admired by ladies of the land. He wore a plain, unadorned tabard that had once been white but which had absorbed any number of unlikely stains. Blood. Grass. Mud. Soot. He was young; perhaps in his early twenties, and he had a pleasing countenance framed by a mess of dark curls, plastered to his head by the rain from outside. A neatly trimmed beard graced his jaw line. One of the barmaids was already casting looks of interest his way, but the newcomer seemed not to notice. At first glance, there was nothing about him that distinguished him from any of the countless would-be heroes who had passed through this tavern over the past few months. A closer inspection however revealed a look of haunted horror in his eyes. He stumbled across the tavern as though already intoxicated on the fine ale, or a flagon of Mistress Bertha’s mead, and sank into a seat by the fire. 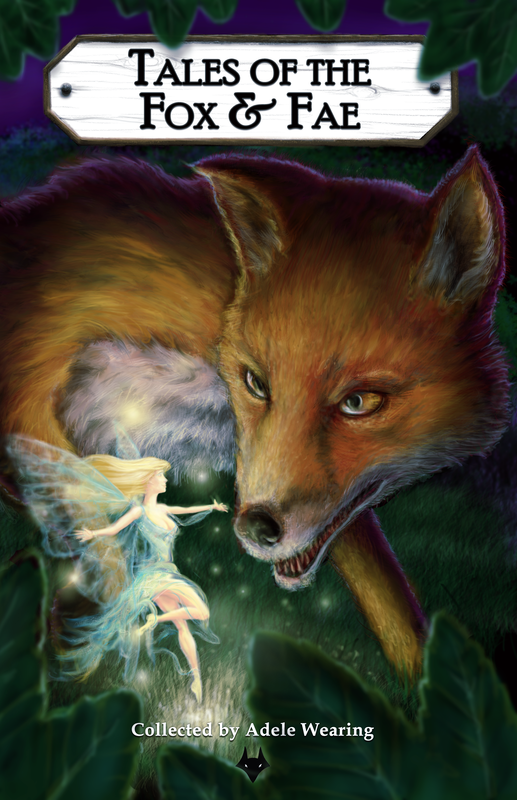 His finery dripped rainwater into a sodden puddle at his feet and he leaned forward to cradle his head in his hands. 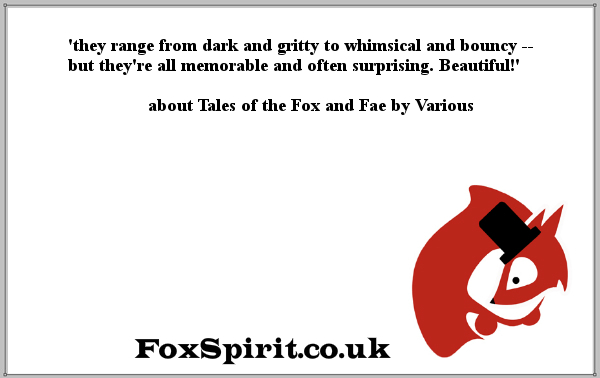 Tony Lane on Fox & Fae : This book is a thing of beauty and that theme is continued by the imaginative writing. It is well worth a read. Tony Lane on Nun & Dragon : As I journeyed through the various flavours of fantasy I got to see both Nuns and Dragons in many different lights. There are a lot of kick arse martial Nuns in this book. If like me the catholic faith is not something you particularly like or want to read about don’t worry too much as you’ll get to not only heroic religious exploits but also the corruption and debase nature found in the human race. Founding Fields on Nun & Dragon : Diversity is fun. Diversity is good. Tales of the Nun & Dragon gets that right for a perfect score. 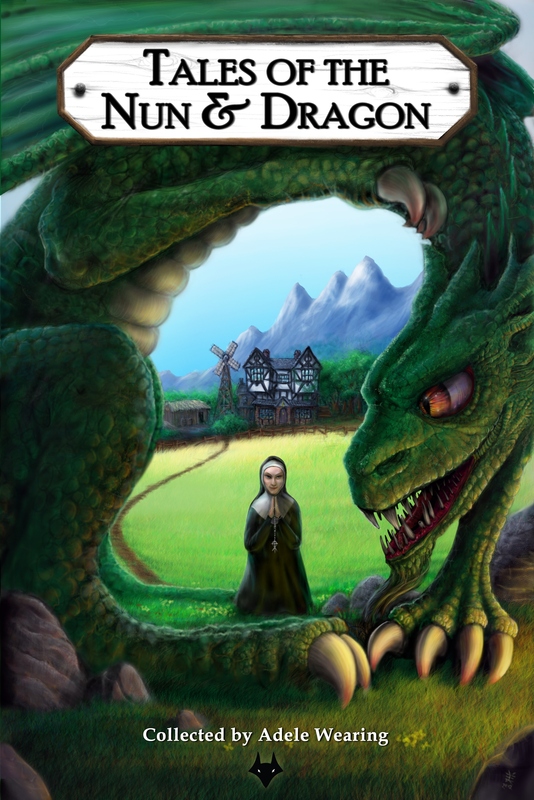 Starburst Magazine on Nun & Dragon : Those on the lookout for the next big thing could do with picking up Tales of the Nun & Dragon; it’s a solid fantasy anthology which has been very well edited and thoughtfully compiled. The stories follow on nicely from each other, making for a smooth read despite multiple voices. Worth a look. 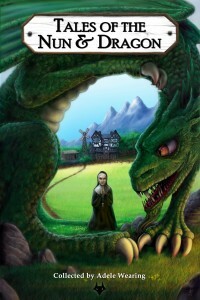 Vicky Thinks review of Nun & Dragon : The stories themselves range in feel from horror to adventure, from romantic fantasy to slower, more thoughtful tales, and many incorporate interesting twists. There’s something for everyone, and no two stories are the same, which is surprising given the very specific theme of the anthology. 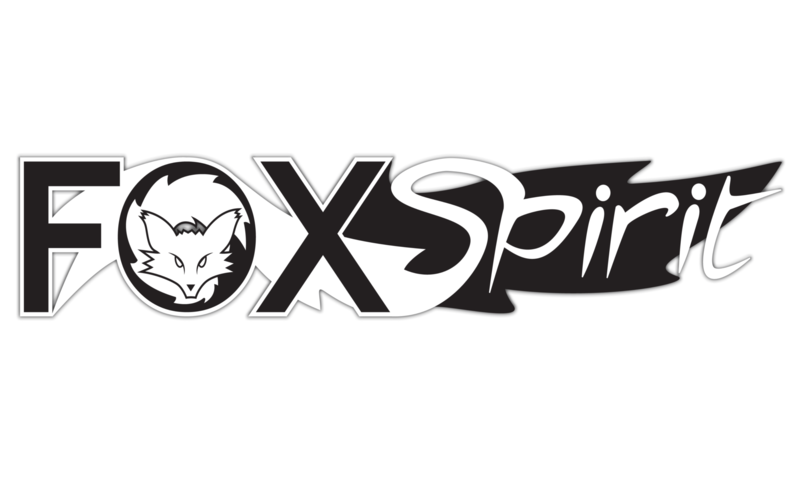 This is Horror on Nun & Dragon : We all know that nuns and dragons go together like shoes and socks, like salt and pepper, like Buffy and Angel; okay, maybe not, but that’s the premise of this collection from Fox Spirit, and it could have gone so horribly wrong. How many different ways is it possible to link the two titular entities? Well, there are twenty-three authors here who have no such problems, finding a plethora of unique scenarios in which to tell their tales. My God It’s Raining on Nun & Dragon : From the classical fantasy bookendsThe Ballad of Gilrain and The Last Hunt shoring up the entire collection (by Black Library stalwart Sarah Cawkwell and fantasy novelist Karen Davies respectively) to the Asimov-meets-Gundam overtones of LOOP (SJ Caunt), there’s something there (hopefully) for everyone’s tastes. Pingback: I’m going to be published. In print. Like, in a BOOK.